Lile Wellness Partners - Rare Bird Inc. Sometimes a good partner is the best medicine. When it comes to our health, we place our trust in the hands of our physicians. We count on them to listen, to probe, to determine both the problem and the cure. We count on them to partner with us on our journey back to wellness. For the seriously or chronically ill, this is incredibly important. This is especially true of the way Dr. Laura Lile practices medicine. Over the years, her practice had morphed into a sophisticated concierge medicine practice. Referred to by many of her patients as “Dr. House” — a reference to the sleuthing TV doctor who relentlessly pursued the mysterious underlying causes of an illness — Dr. Lile had transformed her practice into something very different than her website and name portrayed. It was time for the doctor to look for a partner who could help bring her image and website to a healthier state. 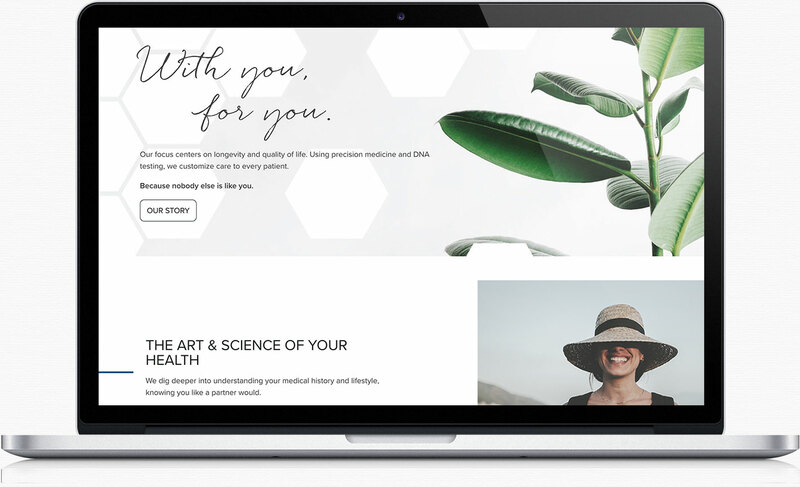 Take one cutting-edge medical practice with branding and website issue. Add marketing team until symptoms disappear. The first thing we did after our initial consult with Dr. Lile was get to work renaming her practice. Her old name, Island Medical Practice, no longer reflected her concierge practice which had grown from Grosse Ile, Michigan to satellite offices around the country. While she was still engaged in her compounding work — Dr. Lile is also a registered compounding pharmacist — her one-on-one patient work was swiftly becoming her primary focus. And it was nowhere to be seen on her site or in the name. After wearing a marker or two down to their nubs brainstorming names on our whiteboard, we landed on perhaps the simplest but most reflective: Lile Wellness Partners. The name is a perfect summation of how Dr. Lile approaches patient care. Next came the much-needed site redesign. We went with a palette that was sophisticated yet warm, just like the good doctor herself. Copy was drafted, and a library was added to the site to make Dr. Lile’s vast print resources more readily available to her clients. Then we updated her print materials, from business cards to stationery to office forms, all matching the look and feel of the new site. It was all just what the doctor ordered.